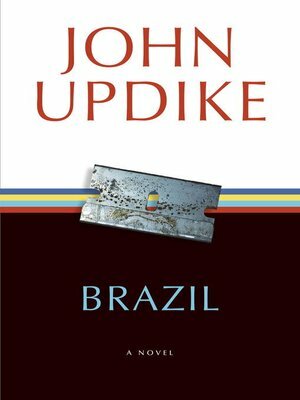 In the dream-Brazil of John Updike's imagining, almost anything is possible if you are young and in love. When Tristão Raposo, a black nineteen-year-old from the Rio slums, and Isabel Leme, an eighteen-year-old upper-class white girl, meet on Copacabana Beach, their flight from family and into marriage takes them to the farthest reaches of Brazil's phantasmagoric western frontier. Privation, violence, captivity, and reversals of fortune afflict them, yet this latter-day Tristan and Iseult cling to the faith that each is the other's fate for life. Spanning twenty-two years, from the sixties through the eighties, Brazil surprises with its celebration of passion, loyalty, romance, and New World innocence.